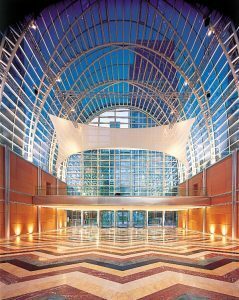 East Wintergarden boasts Light airy and contemporary spaces that are perfect for many events from Bar mitzahs and weddings to galas and smaller corporate functions. 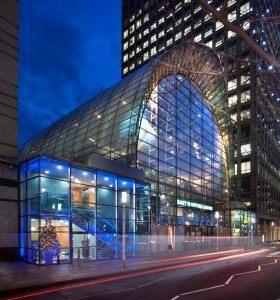 The bright space is the brain child of architect César Pelli and a key seller for people wanting to meet and celebrate within the walls of East Wintergarden. The venue features three versatile spaces providing a variety of styling options for various types of events and guest numbers. The Main Hall is perfect for big events, hosting up to 1000 standing guests and 500 seating. 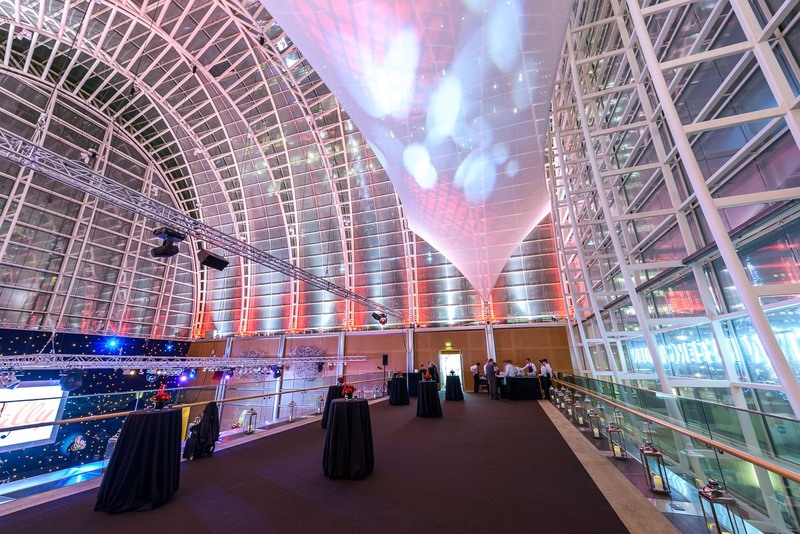 The venue also sports a spacious gallery mezzanine space suspended above the main hall that can be independently hired or used as alternative space to work alongside The Main hall for example welcome drinks and canapés before your event. The gallery hosts 250 standing guests and 100 seating.The promenade room seats 40 people and is the perfect space for hosting private meetings, press conferences and presentations. 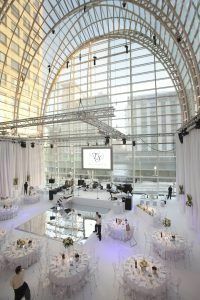 This room also acts as a good space for organising and managing events in private whilst using the larger venue spaces. 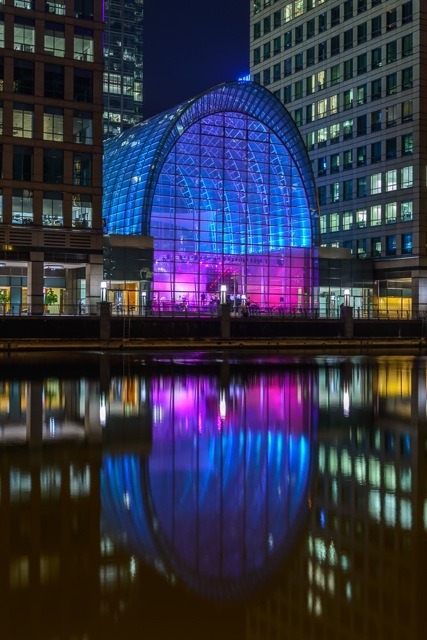 The East Winter garden is in close proximity of Canary Wharf’s three stations with ample car parking on the estate.